Tree pruning Raleigh NC and tree trimming are 2 terms, which are often utilized interchangeably. However each of these operations has unique applications. In the first place, tree pruning is mostly designed for trees and shrubs, while tree trimming is meant for shrubs or hedges. The former is executed to promote the ideal growth of trees and shrubs by eliminating diseased, infected, dead or broken branches to ensure they flourish. 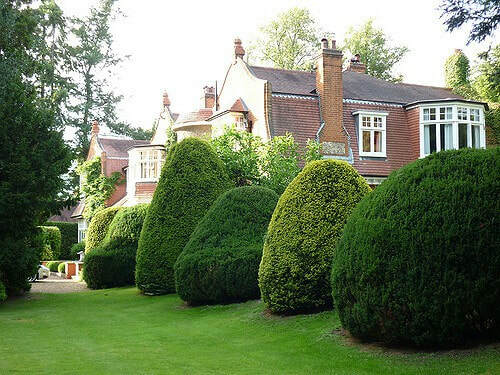 Tree pruning can be used to control tree shapes along with sizes by lending them a desired shape for aesthetic purposes too. With all this in mind, we take great pride in offering top notch tree pruning services that are delivered with a touch of quality, all the time. Our talented and seasoned tree specialists have the prerequisite knowledge and training to execute this tree care process in an efficient and totally professional manner. Before we review the various benefits of professional tree pruning, let us first take a look at the best time to do it. ​What is the right time to execute tree pruning? Ideally, tree pruning Raleigh NC should be performed when a tree is dormant. This usually ranges from late fall to winter. Conducting this task at this period can greatly reduce sap loss, and in extension, the stress, which will be exerted on the tree in question. Also, with the deciduous variety of trees, pruning at the moment all the leaves have fallen can be excellent. This will allow you to settle for the best shape if you are thinking of training the shape of your tree for aesthetic purposes. Nevertheless, in the case of dead branches, they can be removed at any time of the year. What tools are used for effective tree pruning? ​Generally speaking, shears are the most commonly utilized tool when it comes to tree pruning. There are 2 different types of these tools, which are the hand shears and lopping shears. The first is usually made use of to cut stems that have a diameter of no more than ¾ “. On the other hand, lopping shears have much longer handles, and can effectively cut stems with a diameter thickness of up to 1 ¾ “. Still, in the case of much thicker stems, we use pruning saws. In terms of the benefits you stand to access, they are also numerous. To begin with, tree pruning Raleigh NC will significantly minimize the safety hazards of damaged, diseased or broken tree limbs falling on people in your property. It will help you prevent the dangers of having tree branches extending to overhead power lines too. This tree care procedure can also assist in the visibility of traffic signs, if tree branches start to obstruct street signs making it hard for motorists or pedestrians to read them. As you can see, tree pruning is indeed an essential service to all homeowners who have planted trees on their properties. However, you should make sure you enlist the services of a skilled and experienced arborist to let you obtain all of the advantages listed above. It is important to note that when this tree service is executed in an inappropriate way, there can be severe repercussions. This includes your trees sustaining irreparable damage, which will in the long run force you to have them removed from your property. On the other hand, if an incompetent person prunes tall trees or even shrubs from perilous heights or even power lines, the likelihood of their having an accident is significant. So, always make sure you opt for professional tree pruning Raleigh NC services whenever you are in need of them. We are such a firm, and always go out of way to execute professional and safe tree pruning for our customers. Make the smart decision of choosing us whenever you stand in need of these services!